IT’S BEEN CONFIRMED that an ex-gratia payment scheme has been made available to the 221 women and their families, who have been affected by the by the non-disclosure of the Cervical Check audit. The amount that will be paid will be determined by an Independent Assessment Panel, taking into account the impact of the non-disclosure. The scheme is designed to provide an alternative, “non-adversarial” option for women affected by the CervicalCheck issue, as the courts process can be both costly and take some time. The scheme will be up and running in the coming weeks, the Department said. 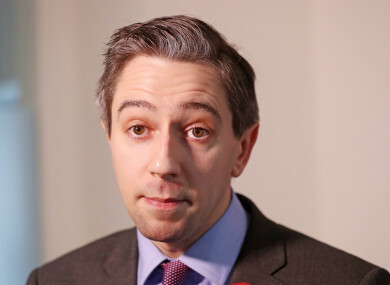 Minister for Health Simon Harris secured government approval to proceed with the scheme, which will be “open to all women, or their next of kin, in the 221 cohort identified from the retrospective clinical audit as having discordance in their smear test result and where this finding was not disclosed in an appropriate or timely fashion”. In September last year, an interim recommendation of a report into the CervicalCheck non-disclosure issue by Dr Gabriel Scally said that an immediate ex-gratia payment of €2,000 to each of the women involved. Of the 221 women originally affected by the scandal, 19 have died, including campaigners Emma Mhic Mhathúna and Orla Church. Email “CervicalCheck ex-gratia payments scheme to be set up 'in the coming weeks'”. Feedback on “CervicalCheck ex-gratia payments scheme to be set up 'in the coming weeks'”.